BioTrust has announced the August 2013 release of the new omega-3 supplement, OmegaKrill 5X. In anticipation of OmegaKrill 5X's release, Health News Wires has published an informative video review of the health benefits of BioTrust’s OmegaKrill 5X. BioTrust OmegaKrill 5X provides several important health benefits, including protecting against high blood pressure, heart disease and metabolic syndrome while improving blood glucose level and brain function. BioTrust has announced the August 2013 release of the new omega-3 supplement, OmegaKrill 5X. In anticipation of OmegaKrill 5X's release, Health News Wires has published an informative video review of the health benefits of BioTrust OmegaKrill 5X. OmegaKrill 5X is a pure and potent natural fish and krill oil supplement containing 3 times more DHA than traditional omega-3 supplements. Using the patented VESIsorb delivery-enhancement matrix, BioTrust OmegaKrill 5X provides the highest absorption rate of both fish oil and krill oil, increasing absorption by up to 500%. OmegaKrill 5X was created around research that demonstrates the health benefits of DHA, and by using a balanced combination of fish oil and krill oil. BioTrust OmegaKrill 5X provides 2,400 mg of EPA/DHA and 1 mg of the antioxidant Astaxanthin. Recent studies indicates the DHA and EPA found in OmegaKrill 5X is effective in lowering triglyceride levels in the heart, blood and liver; decreasing inflammation; and improving brain health, including short-term memory and reaction time. Using pure sources of fish and Antarctic krill oil certified by the Marine Stewardship Council, BioTrust OmegaKrill 5X includes high-quality ingredients from sustainable and traceable sources. According to Michael Healey of Health News Wires, “BioTrust OmegaKrill 5X provides several important health benefits, including protecting against high blood pressure, heart disease and metabolic syndrome while improving blood glucose levels, brain function and lessening the pain, stiffness and inflammation associated with osteoarthritis." Consumers interested BioTrust OmegaKrill 5X can learn more at http://healthnewswires.com/OmegaKrill5X-Notification/. About: HealthNewsWires.com is a new website that was launched in June of 2013 in order to educate the community in the importance of health and wellness. Previous topics covered on the site include Insulin Resistance; upcoming topics to be covered include weight loss, benefits of antioxidants, skin health, joint health, metabolism, digestive health, probiotics, gluten intolerance, cleansing diets, heart health, as well as several other highly informative articles to help people understand the connection between health and a high-quality of life. 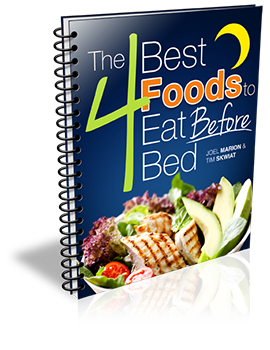 Most recently, they released a video explaining the Top Weight Loss Foods To Eat Before Bed. The complete BioTrust OmegaKrill 5X Review is available at http://healthnewswires.com/supplement/biotrust-omegakrill-5x/.